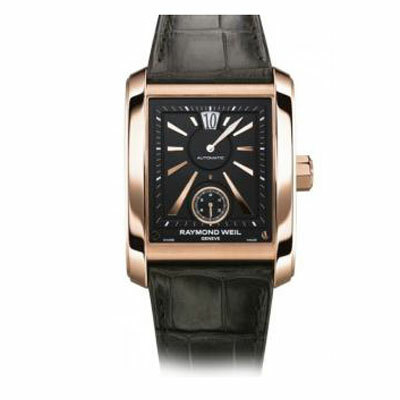 Raymond Weil founded his company in 1976 at the age of 50, drawing on his 27 years of experience in the watch business and a remarkable enthusiasm. He ventured across Europe with his first models in his pocket, gradually creating an international market. From the outset, Raymond Weil watches were characterized by their elegance and simplicity, and their success was immediate. The family-owned company has a presence in more than 80 countries, and has grown to become one of the great Swiss watchmakers. Their popularity has been reinforced by their creativity and innovation, which have earned them a reputation as a trendsetter. Their legendary attention to detail is evident right at production: each Raymond Weil watch undergoes 350 checks before receiving the seal of quality.